This was actually my first book of the year and I’m grateful for that. This book was published back when I was elementary school and it’s had buzz ever since. I actually found it at a thrift shop and saw that as a sign that I should stop putting it off. I love Josh Sundquist, I’ve been subscribed to his YouTube channel for several years now. We Should Hang Out Sometime was one of the books that got me into memoirs in the first place. I was ecstatic to see that he was writing fiction. Love and First Sight is absolutely wonderful! So… many… feelings! I found myself laughing, crying, and screaming over the course of a few pages. Henry and Claire’s relationship transcended time and space. Henry’s condition was unlike anything that I’ve read before. It was a beautiful story that makes me emotional just thinking of it. First Everything, Everything and now The Sun is Also a Star. I can’t wait for the movie, especially considering how much I LOVE Yara Shahidi. Nicola Yoon is definitely doing something right. I plan on devouring any other books she writes. This book was AMAZING! I’m usually not one for long books, but listening to it as an audiobook helped. I love the action and adventure. I hadn’t read historical fiction in quite a while, so this was a nice refresher. It was also my first book from an LGBT main character perspective. Wow, this year had a lot of firsts for me. Long Way Down was the first book of poetry I listened to as an audiobook. It’s no surprise that Jason Reynolds is making it on this list. I’ve said it before and I’ll say it again: Jason Reynolds is the next Walter Dean Myers. John Green is back! His books have meant so much to me over the past few years. John Green did a wonderful job of creating main character who is more than her mental illness, but still struggling constantly with that mental illness. Aza wasn’t a damsel in distress that yearned to be saved, she was just in distress and that was okay. Her struggle with OCD was honest, and at times, disorienting. The mystery of Russell Pickett wove in to Aza’s story incredibly well. This was my first book on time management. It taught me some great tips that I’m still using today. It also helped put some things in perspective. This book is part of the reason that I’m back to blogging (somewhat) regularly. This book left me shattered. Listening to Roxane Gay read it herself as an audiobook was the extra nail in the coffin. The sheer transparency in describing these events was just… I have no words. What were some of your favorite reads of 2018? What are some new releases you’re excited for? 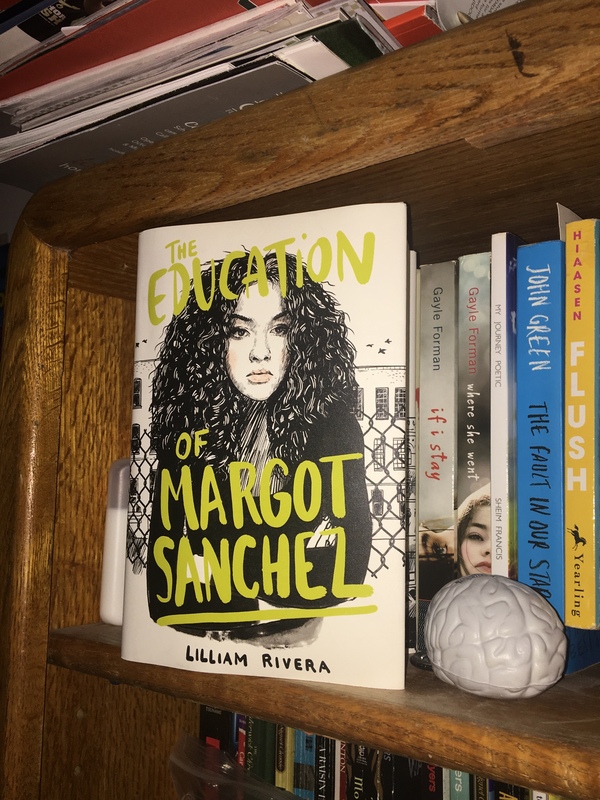 The Educated Negra • This entry was posted in Book Review, Books, Fiction, Humor, Non-fiction, Suggestions, Young Adult and tagged Book, Book Blog, Reading, Review, Wrap-Up. Bookmark the permalink. Nice and interesting list! Haven’t read any of them yet. My favorite of this year is still ‘The Eight Life” by Nino Haratischwilli, but it will only be translated into English later next year. I highly recommend these books, once The Eight Life gets translated, I’ll have to check it out. What’s it about? It is historical fiction of different generations of women from Georgia from the first world war till now. It was mostly her writing style and the brilliance in how she connected the stories which got me hooked :). Not at all like any other historical fiction I have read.